Following the failure of 'really existing socialism' in Eastern Europe and Asia, the market is now generally perceived, by Left and Right, to be supreme in any rational economic system. The current debate now focuses on the proper boundaries of markets rather than the system itself. This book examines the problems of defining these boundaries for the recent defences of the market, and shows that they highlight major weaknesses in the cases made by its proponents. 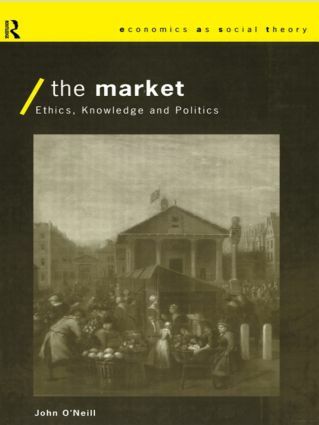 The author draws on considerable research in this area to provide an overdue critical evaluation of the limits of the market, and future prospects for non-market socialism. The issues discussed cross a number of academic boundaries including economics, philosophy and politics.